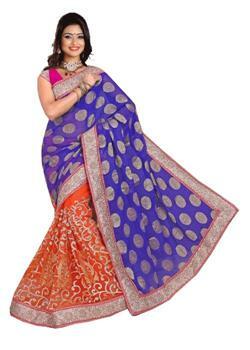 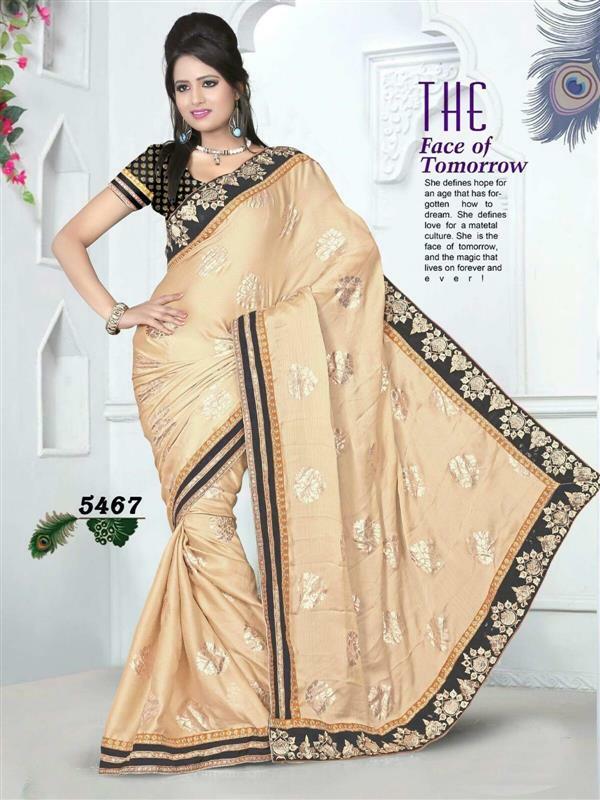 You will get instant traditional look by wrapping this beautiful saree. 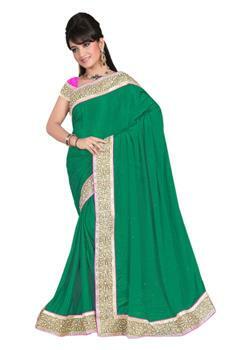 Charming green bhagalpuri cotton saree with pink and golden silk border embroidered with rich kasab work and zari threads. 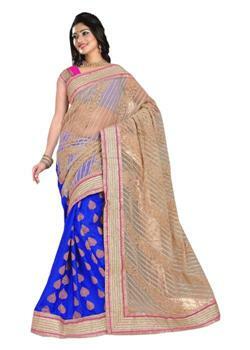 This saree comes with customized unstitched blouse.